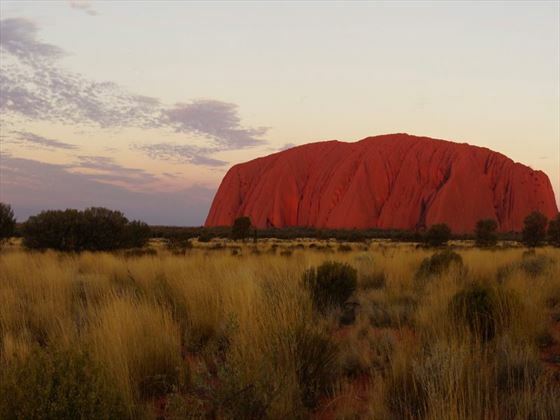 Kata Tjuta, Uluru and Kings Canyon, Australia. Book at Australian Sky today. 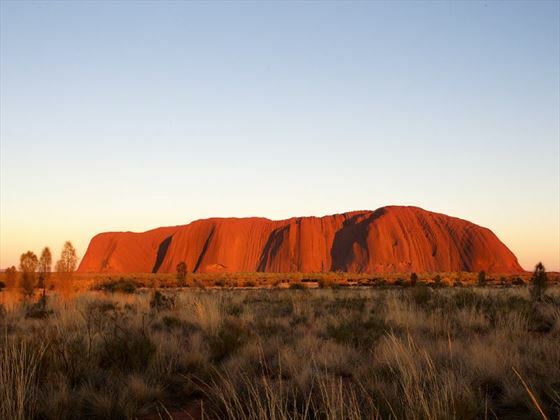 Start your journey by travelling south from Alice Springs, visiting a camel farm along the way to Atila, a stunning, flat-topped and horseshoe shaped mountain, before arriving at Ayers Rock Resort. 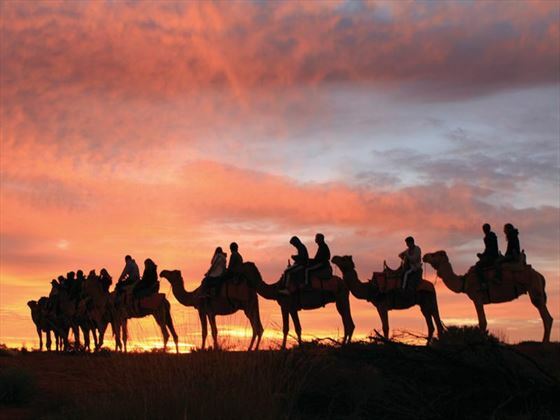 Here you’ll be watching the sun set with a glass of complimentary wine, before heading to the resort’s exclusive venue to sit under the stars and enjoy a succulent meal of steak, lamb sausages, salads and desserts. 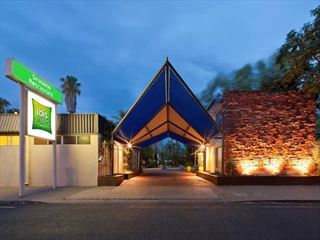 Overnight: Outback Pioneer Hotel (Budget), Desert Gardens Hotel (Standard) or Sails in the Desert Hotel (Superior), Ayers Rock Resort, 2 nights. 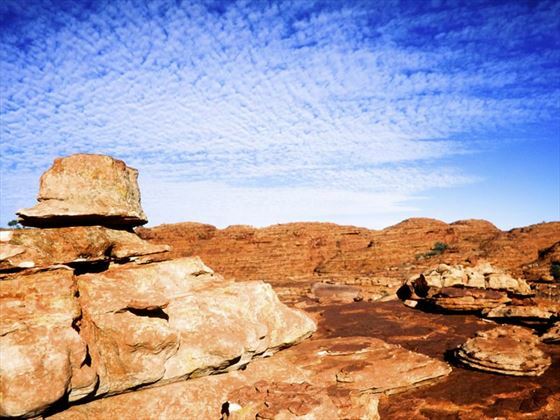 Spend your morning at leisure, searching for Aboriginal art and more breath-taking scenes, before driving through sand hill country to Kings Canyon. 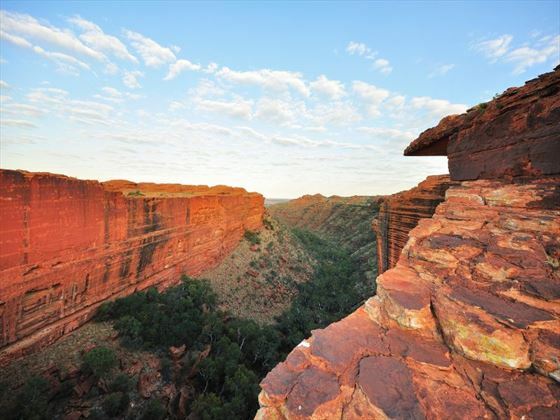 Located in Watarrka National Park, this huge outback canyon will be your playground for the next day. 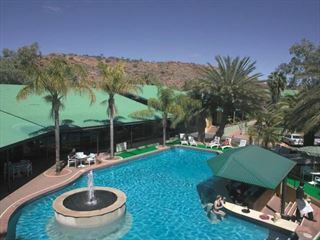 Overnight: Kings Canyon Resort (Standard) or Kings Canyon Resort (Superior). 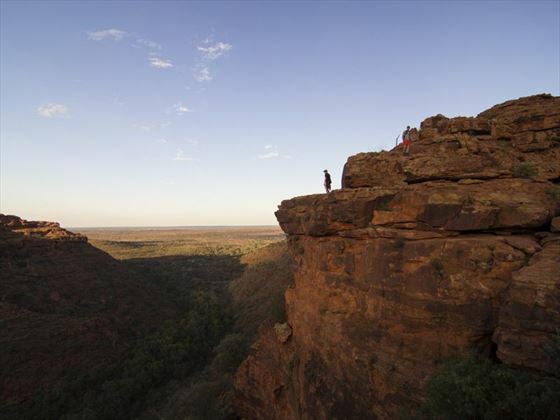 Start your morning by climbing up to the rim of Kings Canyon, or take an easier route along the canyon creek bed for a little over an hour. 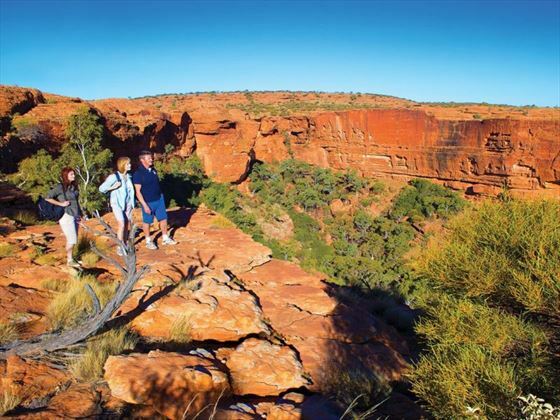 Afterwards, travel back to Alice Springs for the end of your tour. 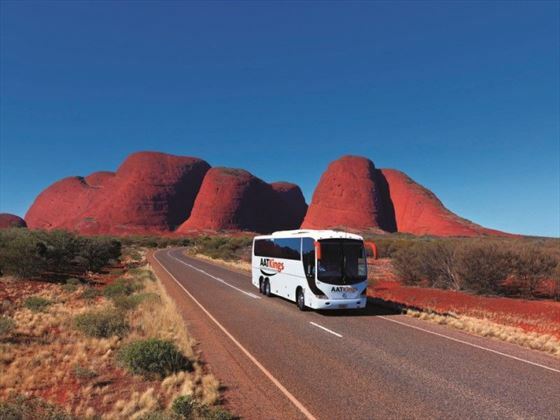 Departs daily at 07.00hrs from Alice Springs and concludes at 19.00hrs in Alice Springs.